Be it high stock removal, long life, price or all of them – a wheel for your every need in the TOPLINE range of DC wheels. Commonly used for de-burring, weld levelling, edge preparation, removal of rolling cracks, cutting runners and raisers, V-grooving and chamfering. Our TOPLINE G03 is designed for greater wheel life with optimum cut rates. It offers an effortless grinding experience making it perfect to grind steel, grey iron castings, carbon steel and mild steel. Our TOPLINE- Maxi is a versatile, multi-purpose wheel with good cut rates and long life making it the first choice of construction sites and fabrication shops. Out TOPLINE- 2 in 1 is a blend of high stock removal and long life for medium to heavy fabrication work. Engineered for balanced performance and high grinding ratios making it the right solution for gates and riser, notching and welding. Our TOPLINE-Zircon is formulated with premium long-life abrasive grain that works like magic in grinding stainless steel, high alloy steel and ferrous metals. 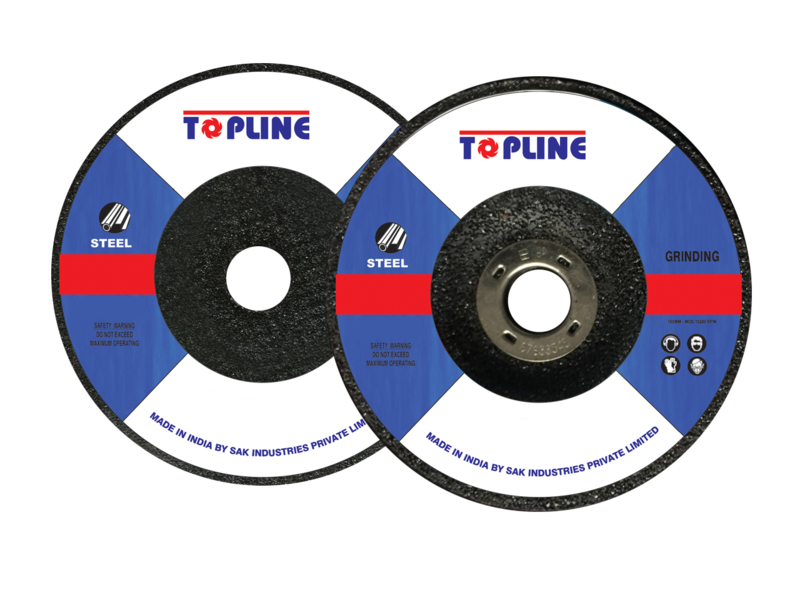 Our TOPLINE-Extra is designed for long life on castings and mild steel grinding applications and our TOPLINE- Cast iron is specially formulated for the best price-performance ratio on cast iron applications. It reduces total grinding cost on cast iron grinding applications.